I hope you are all doing well and are having a fabulous weekend! Now, who loves perfume? I certainly do and I think you can never have too many. 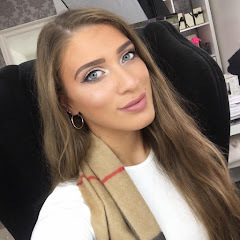 One in particular that shook up the beauty community last year was BABE POWER by Missguided. Keeping it real, I was a little sceptical at first. 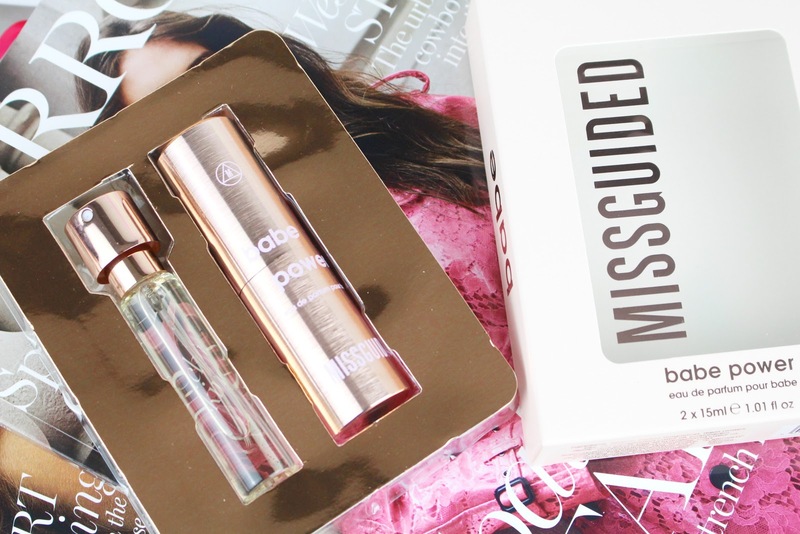 Missguided are a super popular fashion brand and deciding to take a dive into the beauty industry can be tricky. I mean, many have tried and failed in the past. BUT Missguided were not playing around and came to slay the game! 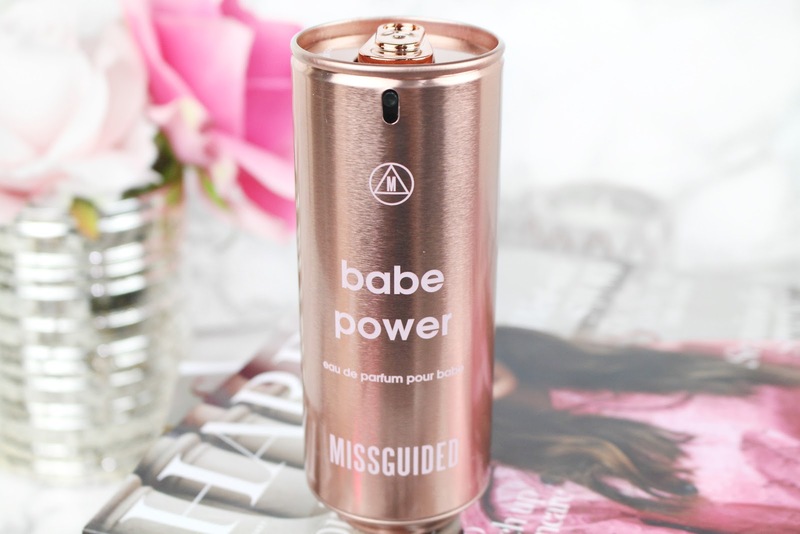 BABE POWER is the embodiment of the iconic Missguided brand with its scent designed to evoke a feeling of strength, confidence and femininity. It was created for the girl who wants her scent to match her unapologetic attitude. We all now and love the original 80ml bottle, but now Missguided have release a travel friendly and handbag essential version that we all need in our lives! I adore this scent, it's honestly so uplifting and I kind of feel more sassy after spraying it! Key notes include a vibrant splash of grapefruit and sour cherry, sharpened with crisp apple and pink pepper. At it's heart, orange blossom is accentuated with soft peony and jasmine for a succulent signature; while vanilla, creamy musk, playful candy floss and amber crystals combine to leave a provocative lasting impression. 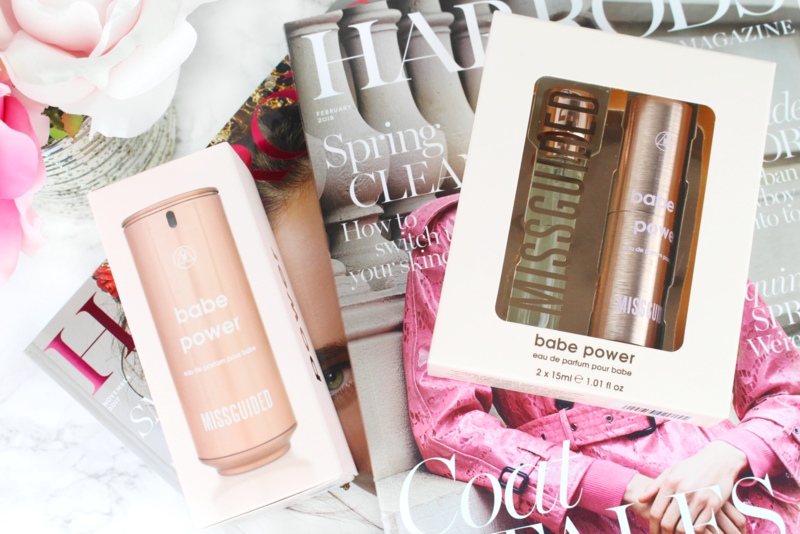 The brand new BABE POWER Travel Set comes with 2 x 15ml bottles and a travel essential atomiser which carries on the chrome rose gold theme. 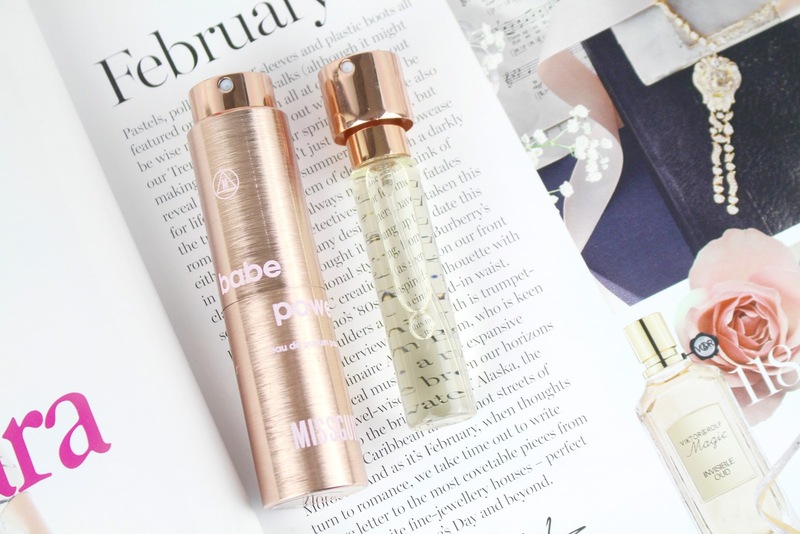 The original 80ml bottle of BABE POWER retails for £28.00* and the new Travel Set is £15.00*. Handbag size and refillable, the latest packaging makes the ultimate on-the-go set for busy babes everywhere. This beauty has a perminate spot in my handbag and I'm so glad that the range doesn't break the bank. The only downfall? As far as I can see Missguided do not sell individual refills. So, I'd love to see this in the future instead of having to constantly repurchase the Travel Set for the 2 x 15ml bottles. 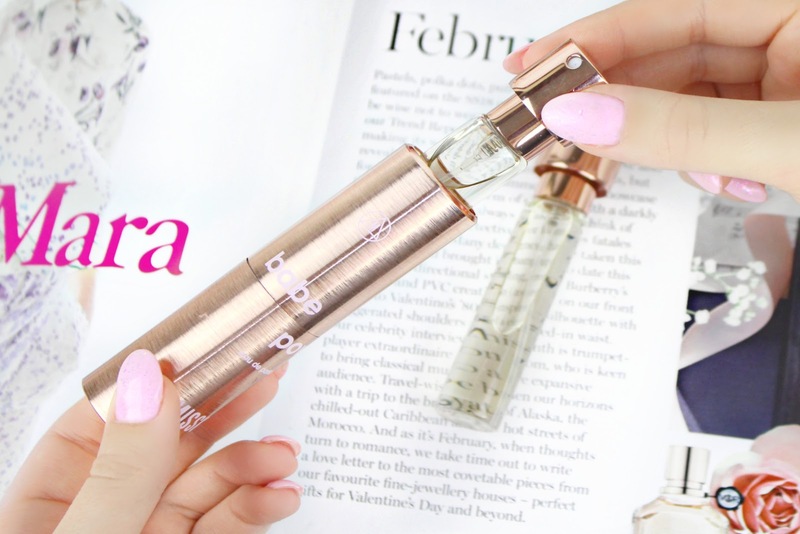 To use the atomiser you simply twist to reveal the opening and spray to your hearts content. To switch out the refills, you would do exactly the same but instead of spraying you would remove the bottle and replace with a new one. Super easy! Overall, I adore everything about this fragrance...the scent, the name, it's ethos and of course, the rose gold chrome packaging! I'm a huge fan of the full size bottle - you all know how much of a sucker I am when it comes to packaging, however, it can get a little clunky when traveling and throwing in your handbag. So, the new Travel Set is absolutely ideal for on-the-go, traveling and is the perfect handbag essential. For £15.00 you really can't go wrong. Have you tried Missguided BABE POWER? Would you consider picking up the Travel Set?